We really need your prayers as we explore various funding strategies in TWFTW UK to help support our growing number of Bible Translation projects worldwide. 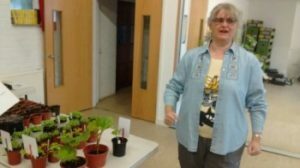 A good friend of TWFTW UK has an annual plant sale each year at her church and all proceeds go the TWFTW. It took place on 5 May at 10am in South Oxhey Baptist. Others give monthly support through our online giving or recently a person asked their friends to rather donate funds to TWFTW rather than buy birthday gifts for him. Please click here if you would like to be part of our funding team.